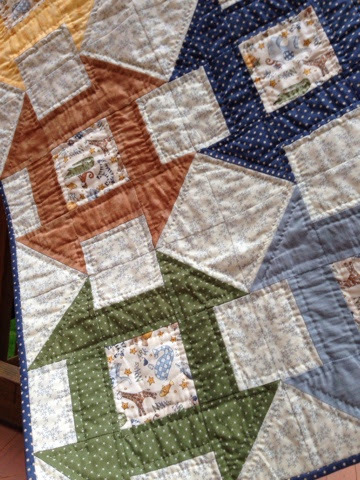 This quilt was started a long time ago. Before my pregnancy with Sophie, I fell in love with this sweet little Noah's Ark print. I started a little boy quilt figuring it would come in handy one day, but then we found out that Sophie was going to be a girl, and so the quilt, which was in the partially quilted stage, was relegated to the UFO pile. A couple of years ago I decided to work on the quilt again, but it was very slow going. However, I have been in a finish-it-up stage, and am getting lots of quilts finally quilted and bound. 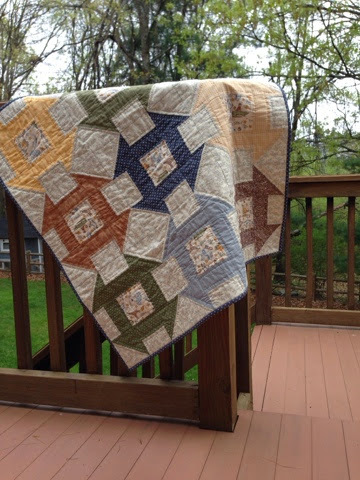 This quilt was such a pleasure to work on, and due to the hand quilting, it will be staying at home, waiting to warm future grandchildren with lots of love. Love it and all that you do. Hang on to it for your grandbabies and it willl be treasured. Boy, you're on a finishing roll! 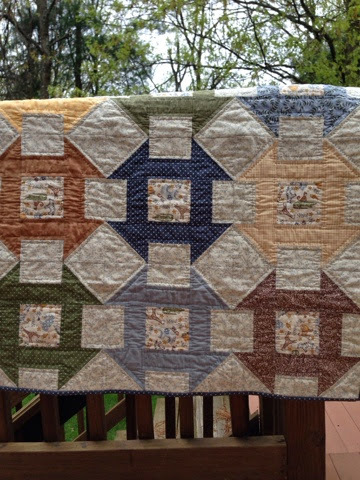 What a sweet little quilt -- I've always loved the churn dash block. 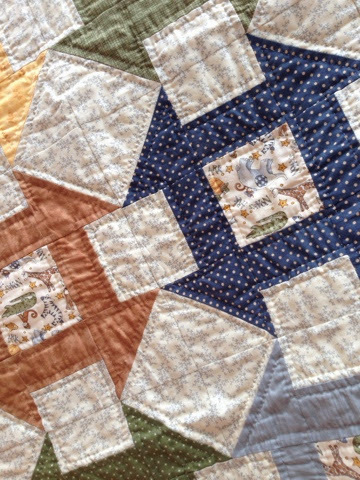 And hand-quilted -- LOVE it!! !